Brett Bouchard, teen severs arm at the elbow while cleaning pasta maker. Home Scandal and Gossip Brett Bouchard, teen severs arm at the elbow while cleaning pasta maker. Will Brett Bouchard have recourse given to him? 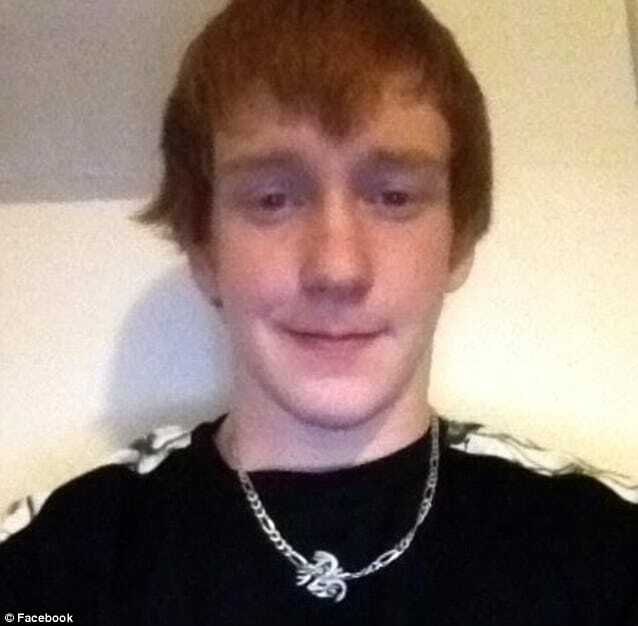 Brett Bouchard, a 17 year old teen had to be airlifted to a Massachusetts hospital earlier this week after he accidentally cut off his arm to the elbow while cleaning a pasta-maker at the Italian restaurant where he works. Authorities say the incident occurred about 8:30 p.m. Thursday, when Brett Bouchard was cleaning the pasta-maker at Violi’s Restaurant in Massena, upstate New York. According to the Watertown Daily Times, a supervisor at Massena Memorial, a local hospital where Bouchard was initially rushed to, tried to have Bouchard taken to the Fletcher Allen Health Center in Burlington, Vermont – which is more than 200 miles closer to Massena than Massachusetts General where he would end up – but that hospital would not accept Bouchard. It is not clear if the loss of time may have hampered the youth’s chance of having his arm re attached. 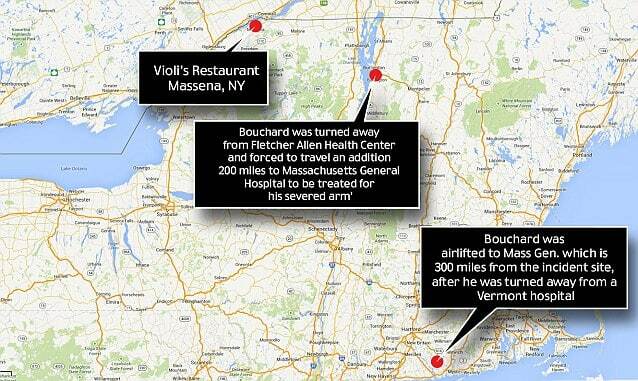 As of Sunday morning, Bouchard was listed as being in critical condition. As of early Monday morning, it’s unclear whether doctors were able to re-attach his arm. Staff at the restaurant launched an investigation as to how the machine was turned on while Brett Bouchard was cleaning it. That said, a spokesman for the Occupational Safety and Health Administration (OSHA) says it’s unclear whether the agency itself will get involved and investigate how the youth came to have his arm severed. ‘We are still awaiting word on whether or not an inspection will take place,’ agency spokesman Andre J. Bowser said, explaining that the nearest OSHA office is in Syracuse, which is roughly three hours away by car. Mia Violi, a manager at the restaurant, has started a GoFundMe page to help raise money for Bouchard’s medical treatment and travel expenses for his family. ‘A hardworking, young man had part of his arm severed in half while working. We would like to raise money to help with medical expenses and travel expenses for his family. If you can help, please do. Brett is an amazing young man and deserves any help. Thank you so much,‘ she wrote on the page. As of publishing, the desired goal of $50 000 has been met with donations tallying up to $3645. “That hospital would not take him.” —— What the F*CK?!? The arm can be preserved in ice even if there is a delay , the first hospital would not have had the expertise for this kind of surgery ,its unfair to use the words “turned away” .